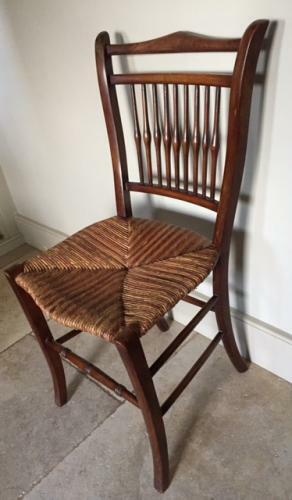 Antique French chair with attractive rush seat in excellent condition. Simple spindle back. Ideal for bedroom etc.